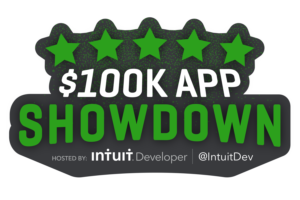 We’re participating in the #QBOChat featuring #smallbizappshowdown #Contest apps today! Late! Late! But here to #dominate! #QBOchat Hey everyone. Happy #QBOChat Day everyone! Kim Austin, @IntuitAccts BDM, Palm Springs, CA! ? A1 ContractorTools helps construction contractors quickly create estimates, invoices, and payments on an iPhone or iPad. Wow, love seeing some #QBOChat new idea here today!! Welcome! ?? A2 Our goal is to help contractors manage their business from an iPhone or iPad, without being experts in accounting. A2 Our users have been telling us that they’re winning more jobs and getting paid faster with ContractorTools! A3 ContractorTools was designed for small to medium construction contractors, from a solo handyman to a general contractor. A4 Contractors love the ability to create professional estimates in minutes instead of hours directly at the job site. A4 And their accountants love the ability to instantly create progress invoices and eliminate redundant data entry. A6 We put a strong focus on creating fast and accurate estimates. Other construction apps add estimating as an afterthought. A6 We also provide instant access to over 40,000 construction costs, localized to your area, via the Craftsman costbooks. A6 ContractorTools is a fully native app for the iPhone and iPad, so it works offline and syncs when it gets online.